Home / Entrepreneurship / Tips & Advice / Can You Still Pursue Your Childhood Dream? Can You Still Pursue Your Childhood Dream? What did you want to be when you grew up? A firefighter? Singer? Astronaut? Whatever happened to those dream jobs – did you ever give them a try? After several years in the working world, you might find your current career isn’t what you hoped and start looking back at those early childhood ambitions. Is it too late to turn them into a reality? You’ll never know until you try! Here are some cool childhood dreams that are still possible to turn into reality. Jobs in uniforms have a lot of appeal when you’re a kid. When you get older you realize just how vital these roles are for providing important services to the community. If you’re feeling disenchanted with corporations or want to give back – then you could consider joining the police or fire department, even in a volunteer capacity. Emergency response units are usually very stretched, relying on tight budgets and resources despite the incredibly important work that they do. You can become a reserve police officer or firefighter to help provide some much-needed assistance to these important services. These volunteer positions can also boost your resume if a career in the emergency services is something you want to pursue in the future. Dreams of becoming a big movie star can feel completely unreachable, but they don’t have to be completely impossible. Joining a local acting group can be a fun way to give acting a try, and might introduce you to some great new people too. And don’t completely throw away your Hollywood dreams, there are plenty of actors who got their big break later in life who you can take inspiration from. Getting your ‘big break’ can take a long time, so it’s better to fit in auditions and casting calls around other work to help you keep your finances on track. If you wanted to be a pilot when you grew up, the good news is that it’s still entirely possible. You can take your pick of top aviation courses which include learning to fly a plane. There are also private flying courses you can take to help you become a pilot, which can help you develop an exciting new hobby. 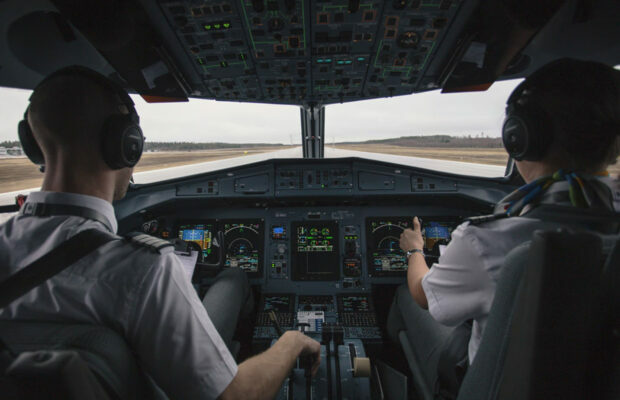 There are different routes to becoming a pilot that you can try at different stages of your life, so it doesn’t have to be something you miss out on if it’s what you want to do. A lot of people aspire to be a writer or to write their own novel, and the good news is that becoming a writer is one of the easiest things to achieve – you just need to start writing! Starting a blog is one of the easiest ways to practice your writing, and it can be public or private depending on your preferences. If you want to earn money from your writing, you could consider the copy-writing route or train to become a journalist. Writing is a fantastic interest to develop in your free time too, so you don’t have to quit your day job to be able to write at the same time. Younger generations have different aspirations to their parents, and many people dream of starting their own tech company like Mark Zuckerberg or Bill Gates. It’s never too late to launch a startup, so if you’ve got a great idea for a product or an app, you’re already part of the way there. Reading tech blogs and taking an interest in the latest development could help fuel your interest and spark an idea that might really take off. If you loved school, then the thought of becoming a teacher was probably very appealing. For whatever reason that didn’t happen, it’s not too late for you to become a teacher. You can learn more about becoming a teacher to find out if it’s right for you. If you already have a bachelor’s degree, then you can take the faster route to becoming a teacher by getting certified. Teaching can be a very rewarding career and a good way to continue your interest in a subject that you’re passionate about. Fulfilling your childhood dreams doesn’t have to be as difficult as it seems. There are different routes you can take to revisit those ambitions and even turn them into your dream career. If you’re unhappy at work or you simply want to try something new, then revisit what you wanted to be when you grew up and see if it’s still possible. You’ll never know until you try! ← Previous Story Are Free Website Builders Really Free?